Mr. Bell is a corporate and securities lawyer with over 19 years of experience. 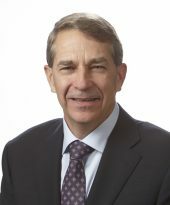 Mr. Bell has served as General Counsel for Olympia Financial Group Inc. and its wholly-owned subsidiary Olympia Trust Company (a non-deposit taking trust company) for the last six years and was a partner of an international law firm prior thereto. In addition, Mr. Bell serves as a director of Paramount Resources Ltd. (a publicly-traded energy company). Mr. Bell holds a Bachelor of Law degree from the University of Saskatchewan. Mr. Gratton is the President of Strathdale Investment Management Ltd., a private investment firm. 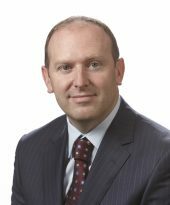 He is also a director of the McCaig family office, which administers the McCaig family’s investment in the Trimac group of companies. From 2000 until 2010, Mr. Gratton was a Senior Tax Partner with PricewaterhouseCoopers LLP. Prior thereto, he held senior roles with Coopers & Lybrand as well as various public and private companies. Mr. Gratton is a Chartered Accountant and holds a Bachelor of Commerce degree from the University of Calgary. Amar leads FAC’s investor relations and capital raising initiatives, participates in transaction related due diligence and helps build and maintain relationships to source investment opportunities. 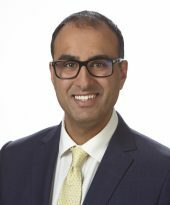 Prior to joining FAC, Amar worked in Investment Banking with Scotiabank’s Diversified Industries Group where he had senior roles on the execution of numerous mandates with both strategic operators and financial sponsors across debt and equity financings and Mergers & Acquisitions. Amar also spent several years in Commercial Banking, Corporate Banking and Corporate Credit with both Royal Bank of Canada and ATB Financial. Amar holds an MBA from the University of Toronto and a Bachelor of Business Administration degree (Finance & International Business) from Simon Fraser University.